Staff were fabulous and the hostel was very fun. Will definitely return. When would you like to stay at YHA Edale Activity Centre? A grand old country house, YHA Edale Activity Centre is one of the highest residences in the Peak District and has a view to match. With the Great Ridge between Lose Hill and Mam Tor to the south and the Dark Peak moorland of the Kinder plateau to the north, YHA Edale Activity Centre is surrounded by stunning scenery. Walkers will enjoy the numerous footpaths into the hills, dales and moors. With fantastic facilities, experienced staff and proximity to peerless natural wonders perfect for enjoying everything from caving to canoeing, Edale is best placed to offer incredible activity adventures in the great outdoors. 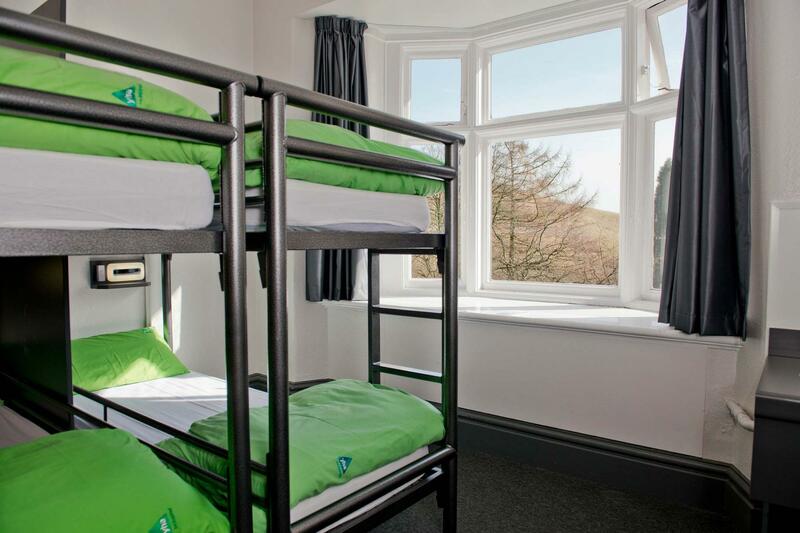 There are three separate buildings and a multitude of different sized rooms in this 157 bed Youth Hostel to cater for the needs of groups, families and individuals alike, and there are classrooms and a drying room too. All of our rooms, including both private rooms and dormitories, contain bunk beds. Our two bed rooms are small in size are not en-suite. Most of the Youth Hostel has been recently refurbished to ensure a comfortable stay whatever the weather. One of our accommodation blocks, Kinder Cottage, is accessed by 90 steps so please contact us directly if you have accessibility issues. As a year round activity centre, YHA Edale Activity Centre is the perfect place to enjoy a taste of a range of exciting activities for an adventure to remember in the great outdoors. Whether you’re on your own or with your family, a beginner or a seasoned adventurer, we’ve got something for you. Over 30 years of experience and our own team of qualified instructors ensure safety, quality and great memories to last a lifetime. Activity courses are run throughout the year, but because of popularity, must be booked in advance. Learn the ropes or improve your skills with a weekend course in climbing, caving, canoeing, navigation and more. Too much to choose from? Try a multi-activity family break and give a few things a go. Two and four night breaks are available during school holidays and weekends with a wide range of activities accessible to all. Half day activity sessions are also available. Please contact the hostel for details. Plus, if you wish to enjoy an activity break as part of a larger group, bespoke, fully inclusive activity packages are available all year round for any group, regardless of age or experience. Find out more here. YHA Edale is perched below the edge of the Kinder Scout plateau, in the heart of the Peak District National Park. MTB&B MTB&B is all about to getting people onto top bikes and riding the fantastic trails in the Peak District. We work on giving you a tailor-made mountain bike hire experience. Try one of the excellent half day walks to the Druid's Stone and Madwoman's Stones or a full day hike around Kinder plateau to the Woolpacks and Kinder Downfall. Perfect for first timers who want to get out and experience life on the water. Instructor-led lessons are available for kayaking and canoeing, so why not dive in and have a go? Check in: 15.00 - 22.00. Please pay particular attention to our check in times – early arrivals may be asked to return later in the day. 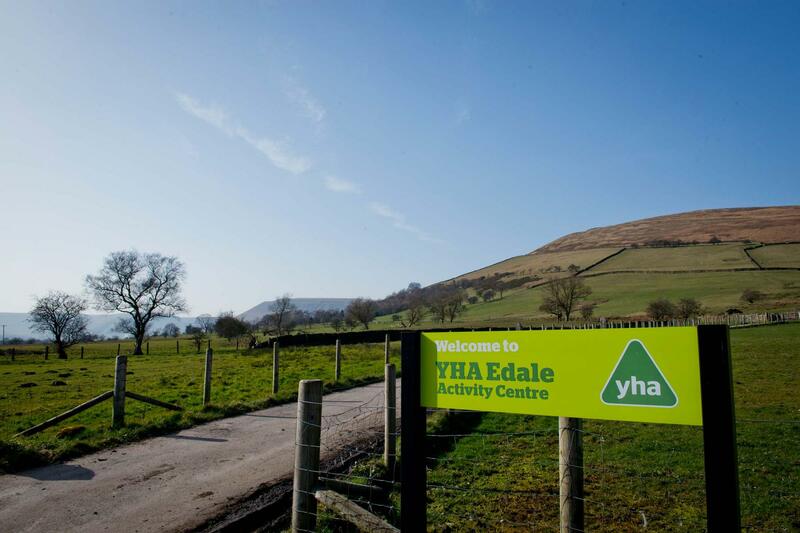 Parking: There is free parking available at YHA Edale Activity Centre. Please park with consideration to later arrivals. Pets: Pets are not permitted at YHA Edale Activity Centre. Assistance dogs are welcome. Wi-Fi: Free wi-fi is available in social spaces. There is no mobile phone signal at the hostel or anywhere in the Edale Valley. YHA Edale Activity Centre offers PE and outdoor activities, geography field trips and adventure breaks. The hostel holds 157 people and provides group catering, classroom facilities and internet access. On Sunday 24th April 1932, about 400 walkers trespassed en masse on Kinder Scout in direct action aimed at advancing the cause of the thitherto frustrated countryside access campaign. Protestors and gamekeepers came to blows. The immediate result was the arrest of six men. The legacy was the creation of the first National Park in 1951. Nick was formerly the Activity Manager and has been at YHA Edale Activity Centre for over 25 years. He qualified as an international Mountain Guide and has remained a keen climber and occasional mountain biker ever since. He's keen to introduce others to the challenges and rewards of the great outdoors, of which YHA Edale Activity Centre is at the very centre, offering a variety of outdoor experiences to all. Manager recommends: Get active and try the activity centre - offering outdoor activity courses to families, individuals, school trips and groups. Kinder Plateau is just behind the hostel, with stupendous views and great places for walking, climbing, mountain biking and cycling holidays. Mam Tor sits across the valley, with easy access walking and fantastic views. Or take a dip in Hathersage’s open air pool. It’s open all year so quite a challenge in the winter months (wetsuit recommended). Plenty of athletes use it for year-round training and it is also used for local triathlon events.